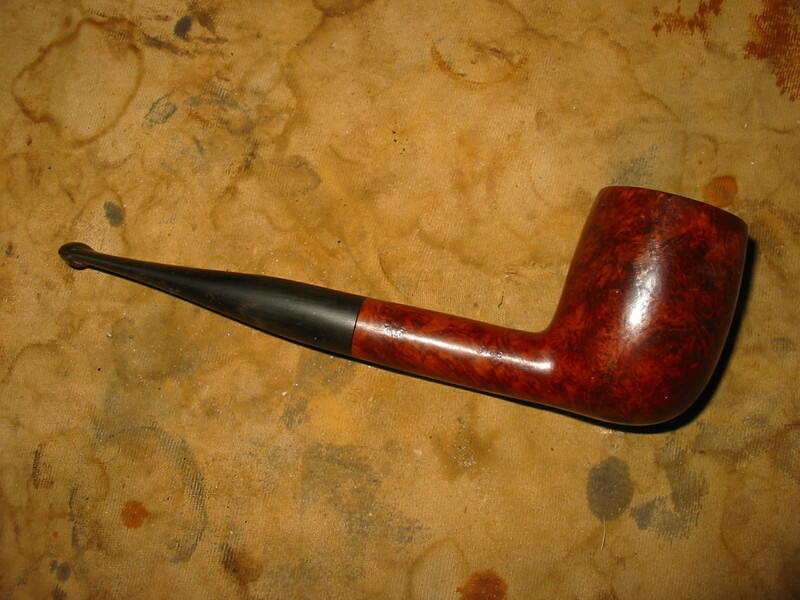 Another part of the trade I got from Mark was this damaged Comoy’s Billiard. It has some great grain on it. 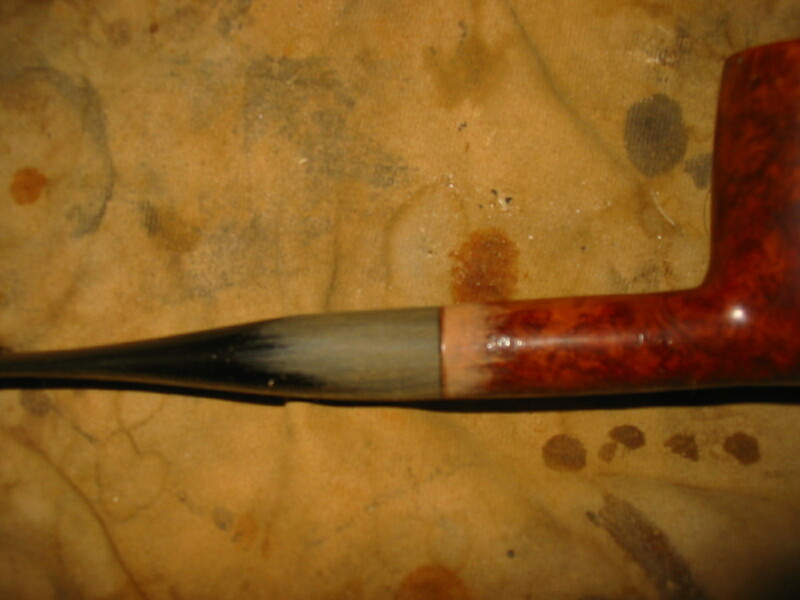 The stamping is Comoy’s on the left side of the shank and J186 on the right side. It also has the characteristic circular Made in London over a straight line England. This circular stamp is next to the end of the shank. The stem was a replacement – it does not have the C logo on it. It had also been repaired. I believe that Mark must have used the black superglue to patch a couple of bite marks in the stem near the button. 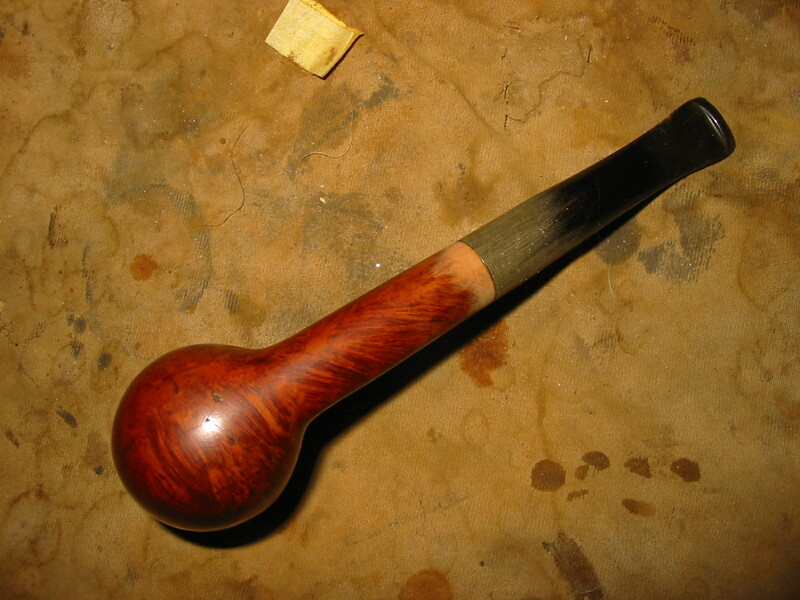 The shoulders on the stem were rounded and the stem shank junction was not smooth. 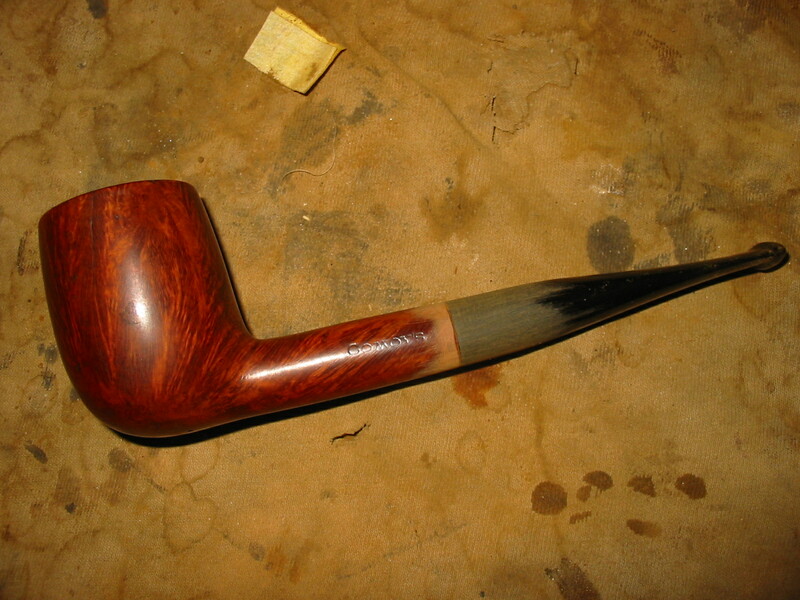 Otherwise the finish was in fairly decent shape and the stem looked good. 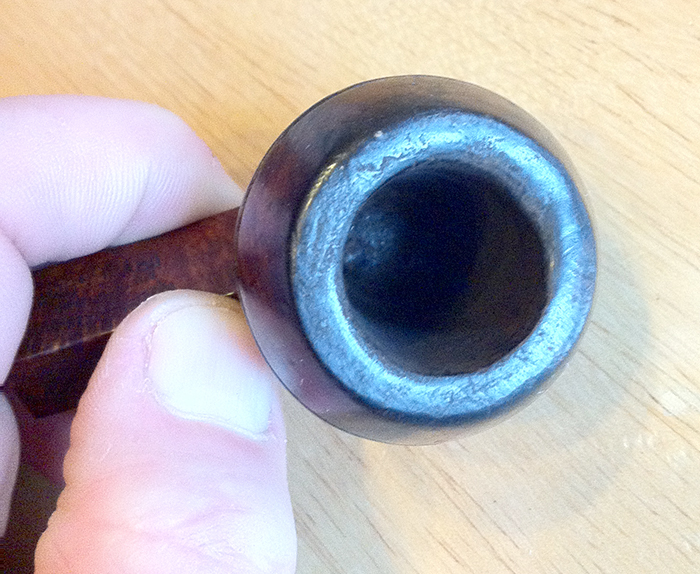 In the letter Mark included with the pipes he noted that there were small cracks in the exterior bottom of the bowl. 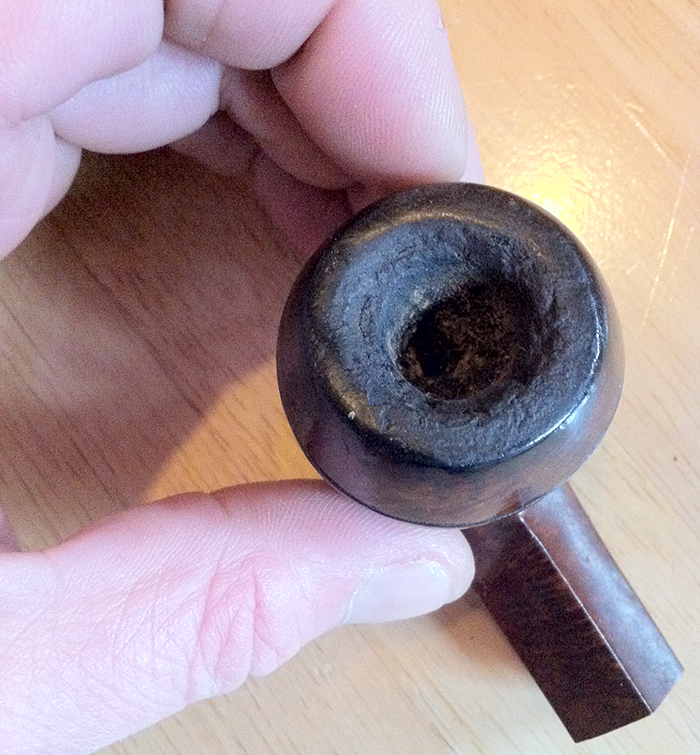 I examined it with a light and saw that the three small cracks radiated from the three divots on the bottom of the bowl. 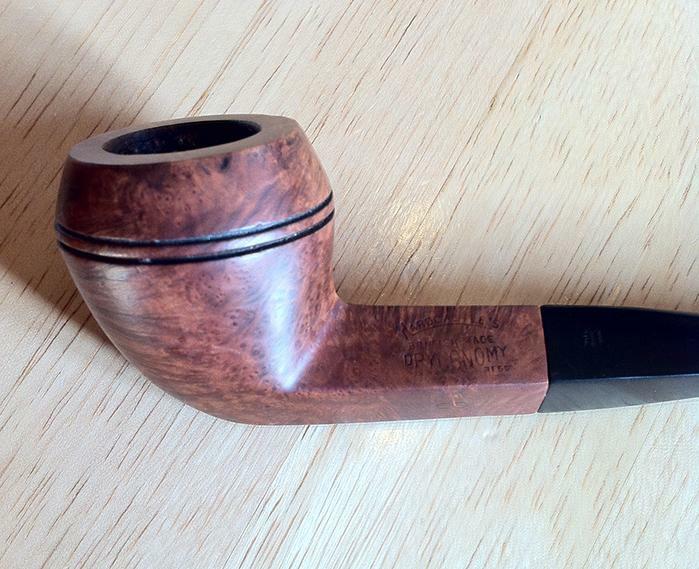 These were flaws in the briar or dents, I am not sure which. The cracks radiated from the three points to a centre point where they met. They did not extend beyond the divots. Examining the inside of the bowl the bottom was not overly deep and there did not appear to be any cracks internally. 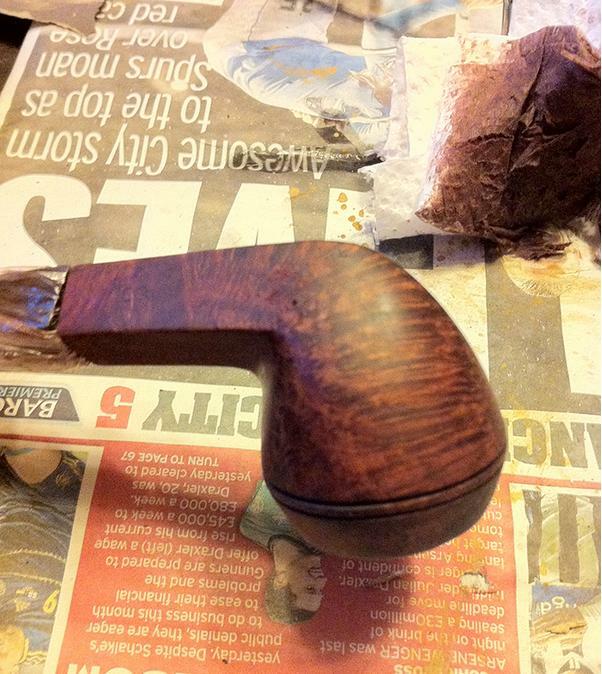 I decided to work on the rounded shoulders on the stem and the stem shank junction first. This is a very easy fix and I thought I would give the cracks a bit of thought before I worked on them. 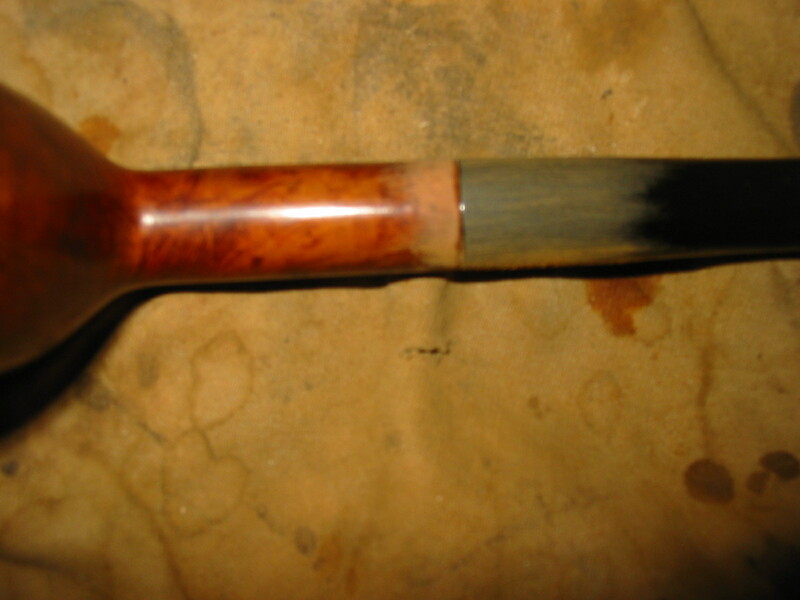 I sanded the stem and shank with 220 grit sandpaper carefully avoiding the stamping. 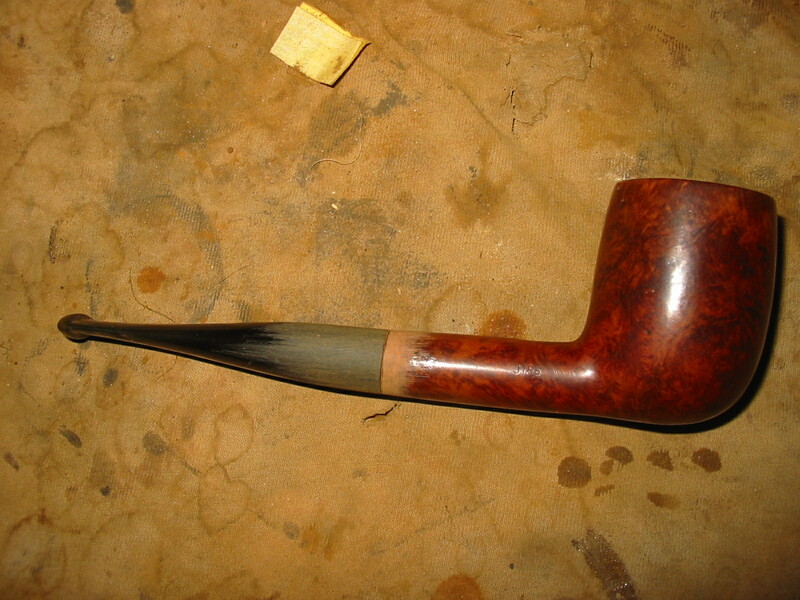 I also did not want to sand too deeply so as to taper the stem artificially from the junction forward. This took care but I was able to smooth out the rounded shoulders. 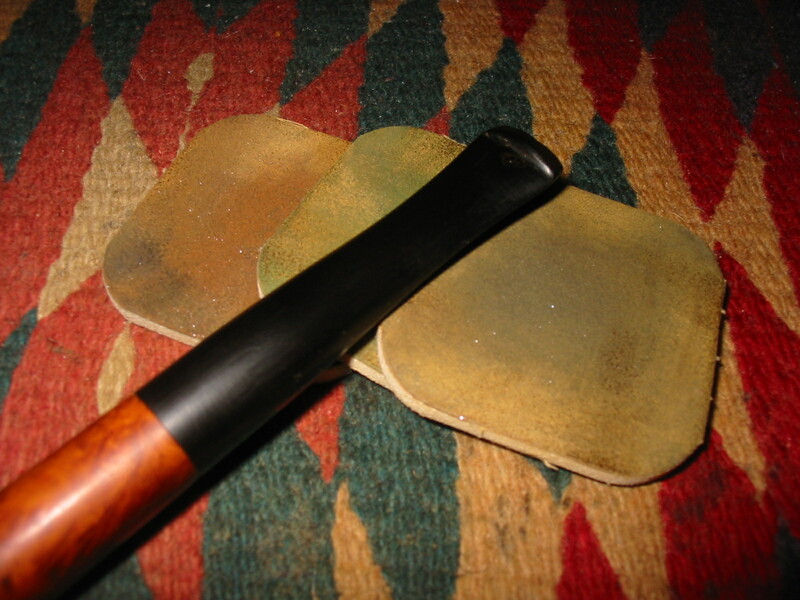 I followed the 220 sandpaper with a medium and a fine grit sanding sponge to remove the scratches. 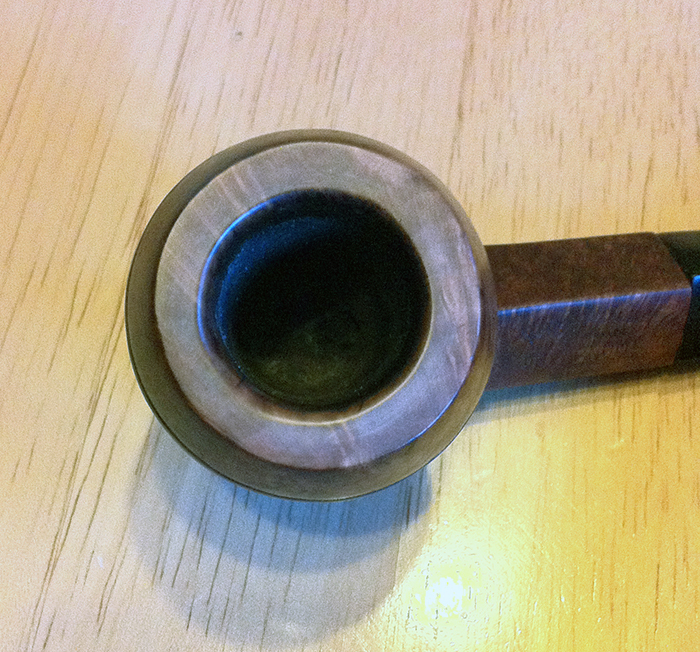 I wiped the bowl down with acetone to remove the finish and make the restaining easier. 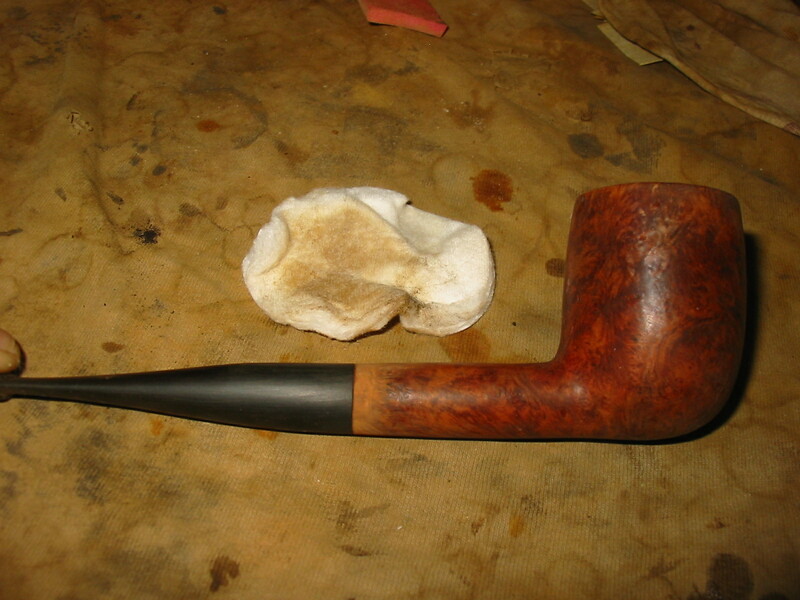 I also wanted to clean up the bottom of the bowl to be able to examine the cracks more closely. As can be seen in the photo below the cracks are virtually invisible to the eye. There is no burn or darkening around the cracks so I am pretty sure that it is not a burn out. 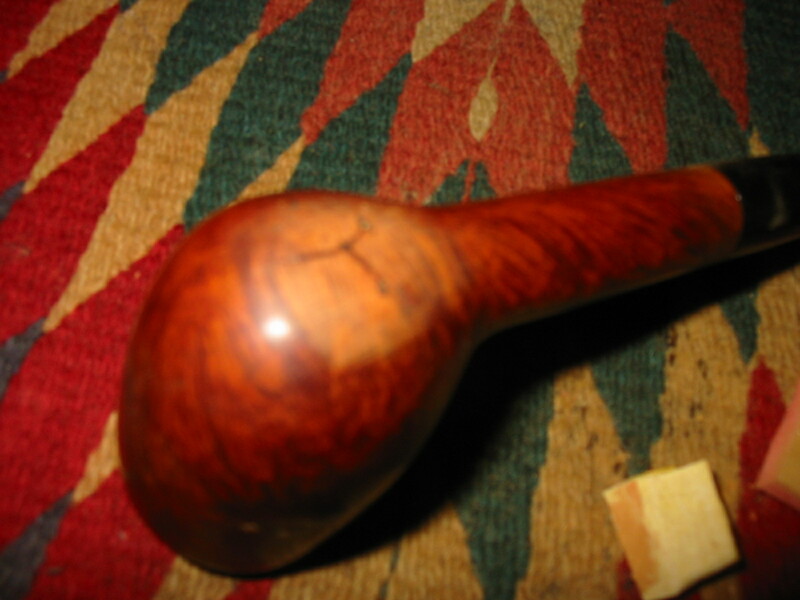 I decided to restain the bowl and see how the stain took in the area of the cracks. 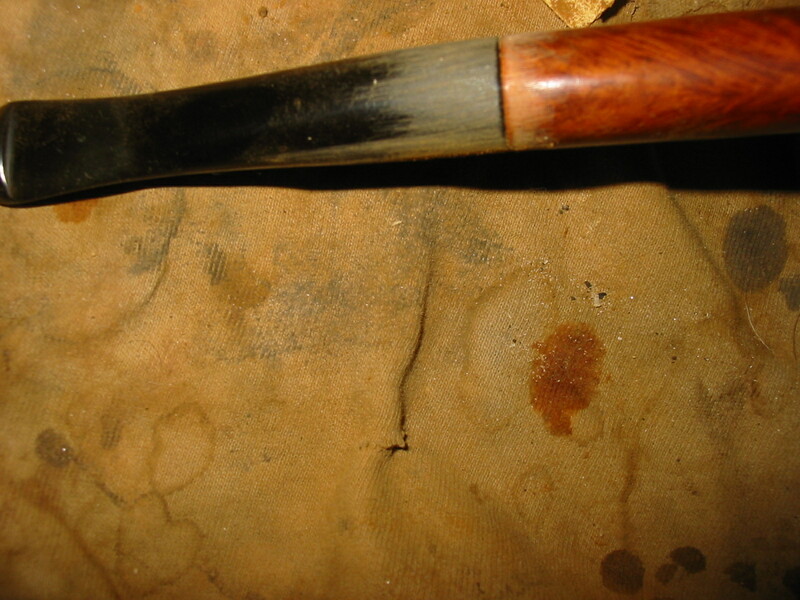 I stained the pipe with a dark brown aniline stain mixed 2:1 with isopropyl alcohol to approximate the colour on other Comoy’s I have. In the photos below it appears far redder in colour than it is in reality. I flamed the stain and repeated as necessary. The cracks were still visible so they would take a bit more work to repair. I worked on the stem with my usual array of micromesh sanding pads – wet sanding with 1500-2400 grit pads and dry sanding with 3200-12,000 grit pads. 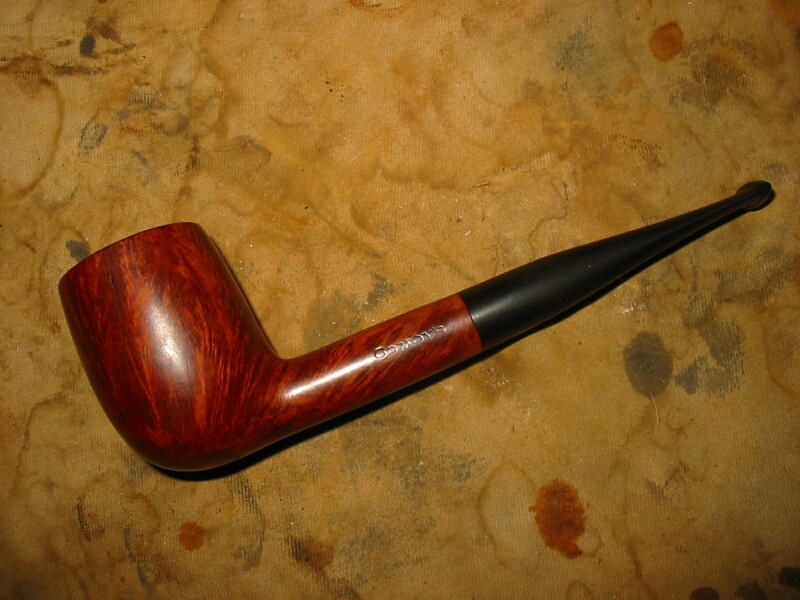 I rubbed the stem down with Obsidian Oil and let it dry. I buffed it with White Diamond paying particular attention to the patches around the top and bottom of the stem near the button. 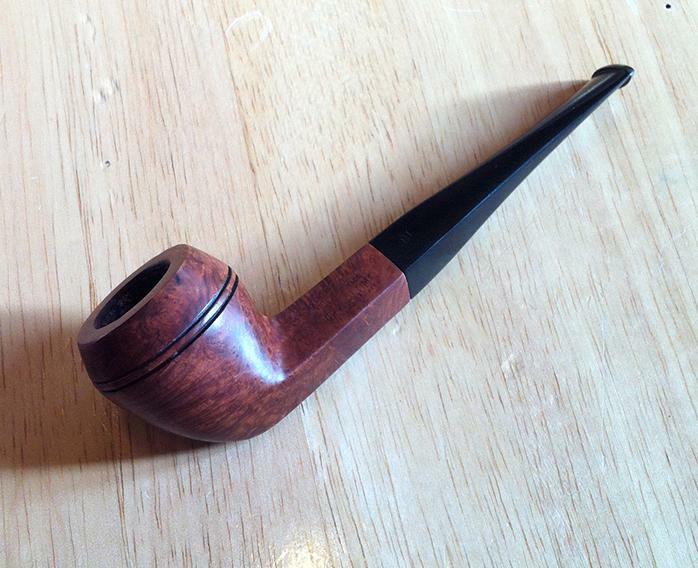 I was able to blend them in well and the black of the polished stem and the black of the superglue match. I decided to work on the cracks on the bottom of the bowl. I scratched out the cracks using a dental pick. I was able to clean out the debris in the cracks and open them slightly. 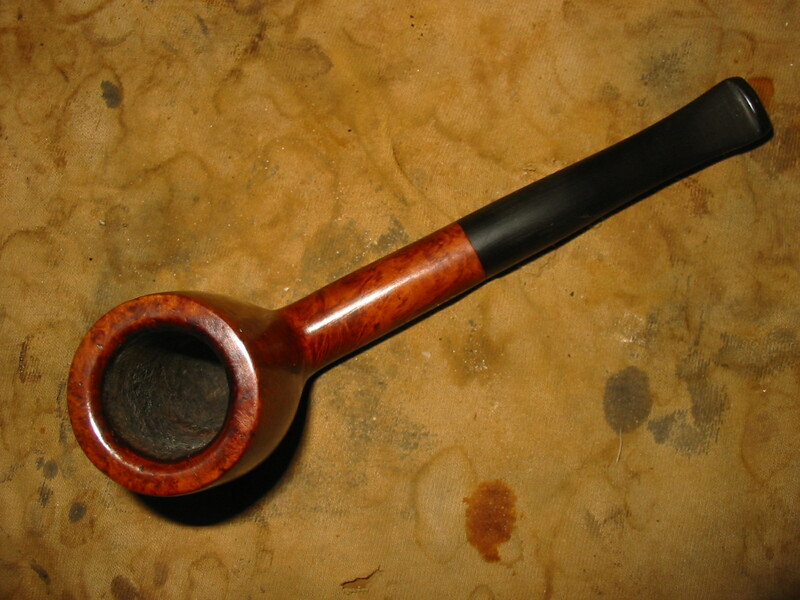 They did not go deep into the briar and there was no internal darkening in the bottom of the cracks. 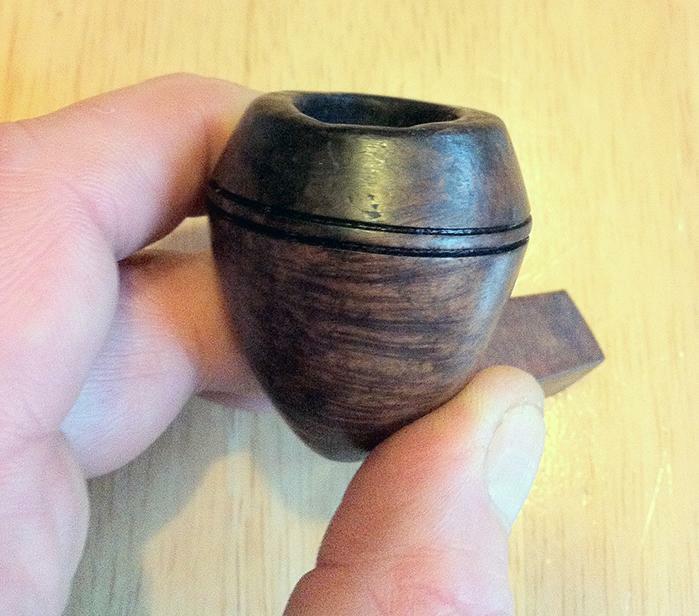 I packed in briar dust and dripped superglue into the briar dust. 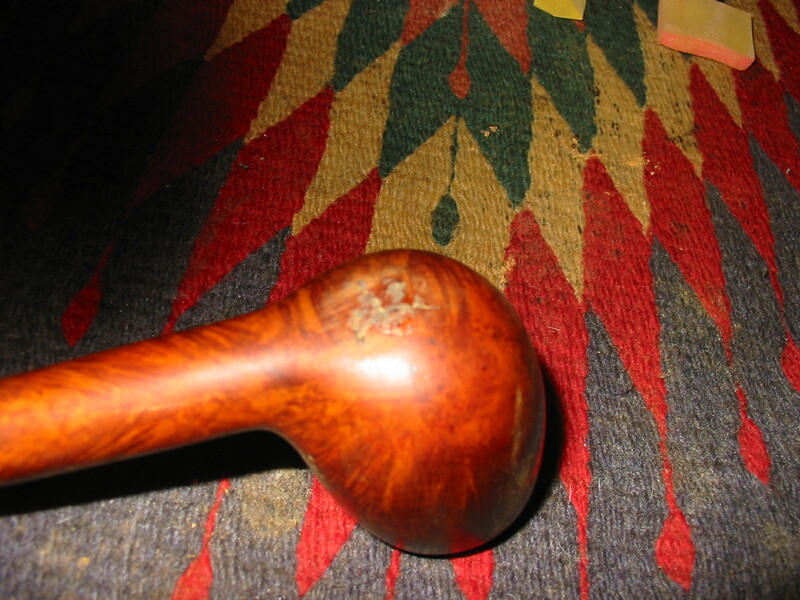 The photo below shows the superglue briar mix after it had dried. I over filled the cracks to ensure good coverage of the repair. I sanded the patch with 220 grit sandpaper to remove the excess glue and followed that with a medium and a fine grit sanding sponge. The photo below, though slightly out of focus shows the repair clearly. It is almost a Y shaped repair. 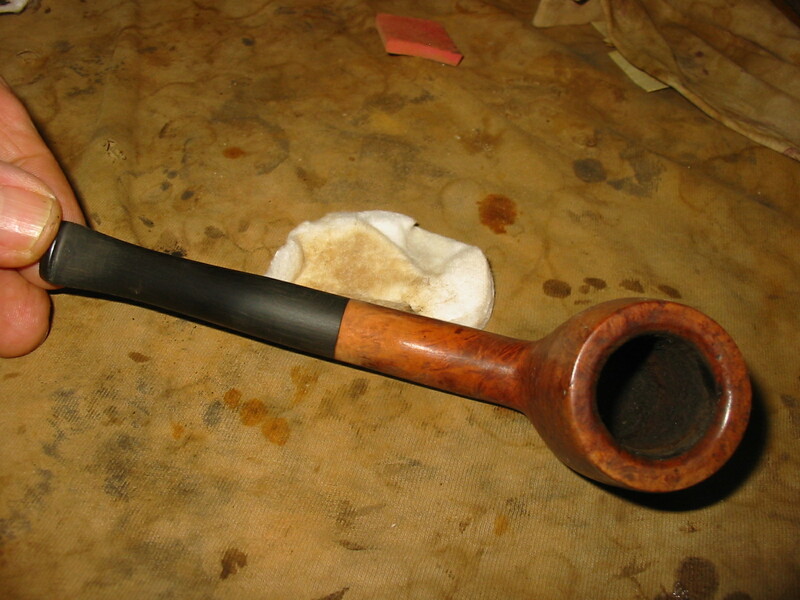 I mixed a batch of pipe mud – cigar ash and water to make a paste. 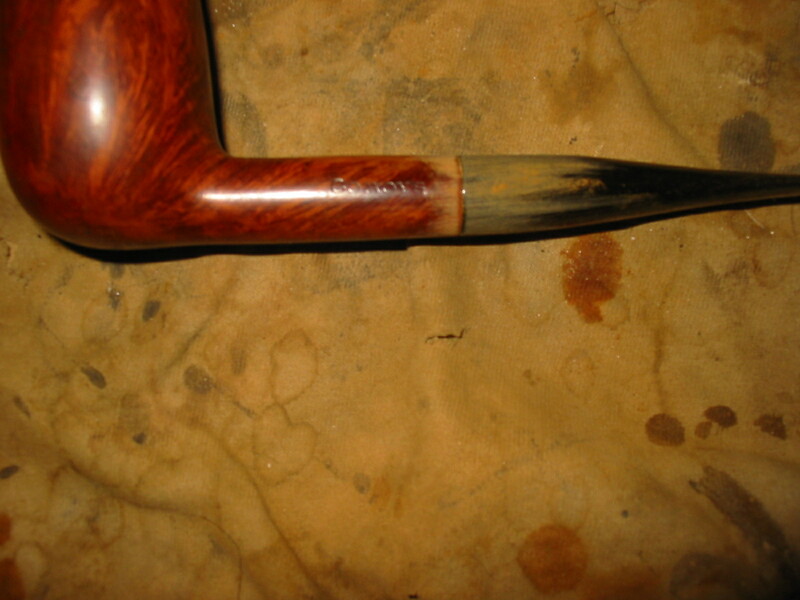 To ensure that the bottom was not damaged I picked it clean with the dental pick and then painted it with the pipe mud. 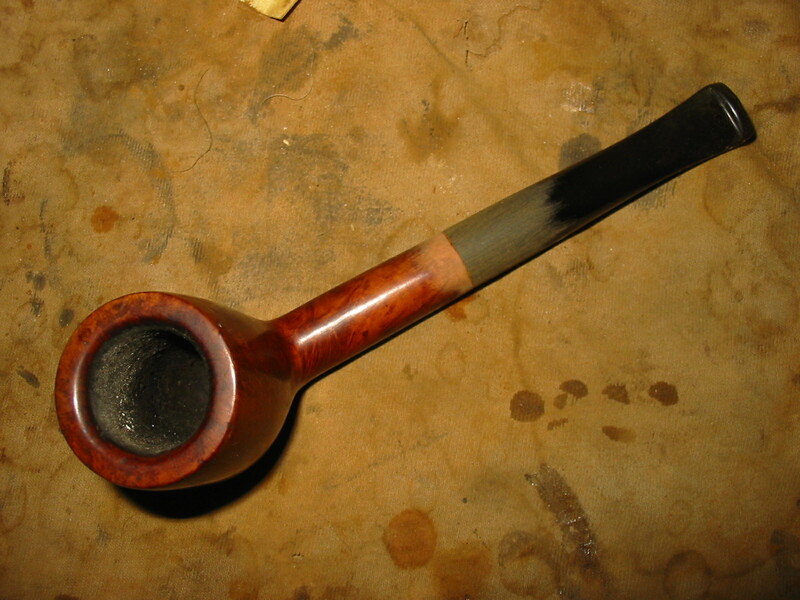 Though there was no sign of damage on the inside of the bowl, the pipe mud was a precautionary measure for peace of mind. 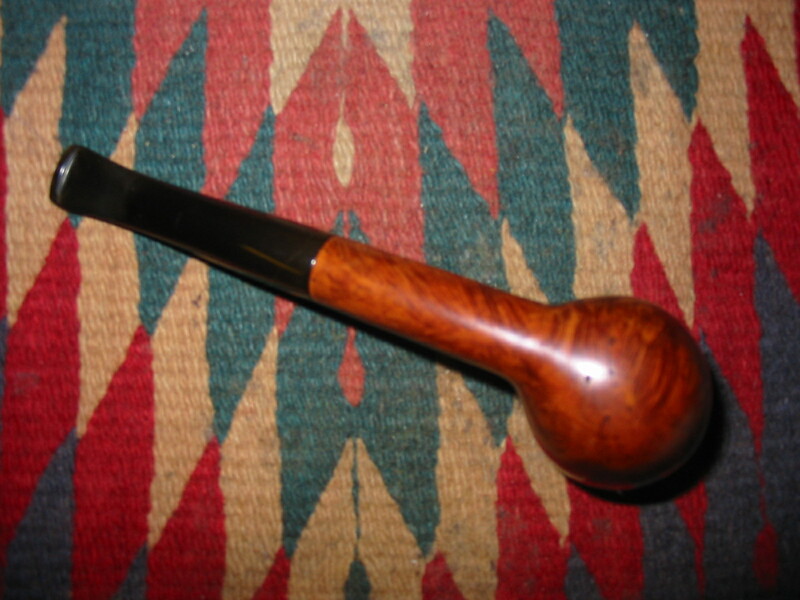 I buffed the pipe with White Diamond and gave it multiple coats of carnauba wax to protect and to give it a shine. 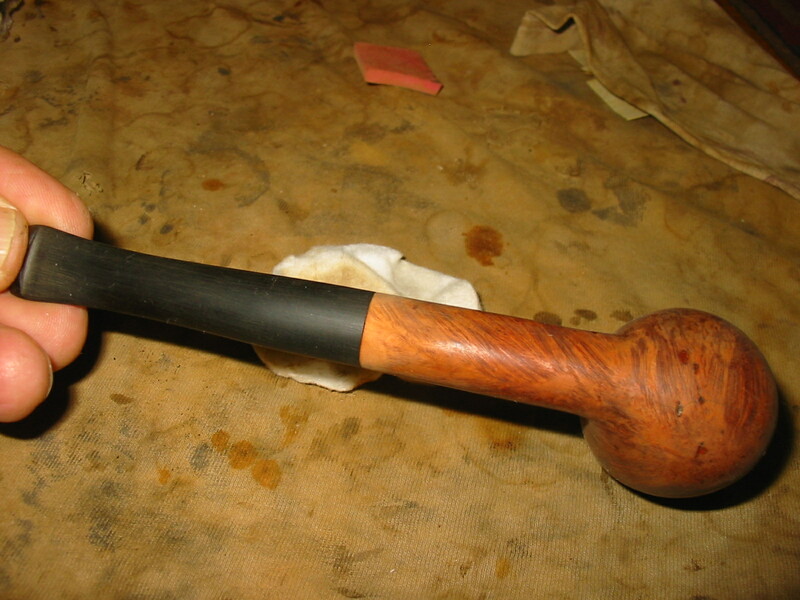 I have set it aside to allow the pipe mud to cure before using it. I want to see if the bowl bottom heats up at all during a smoke. 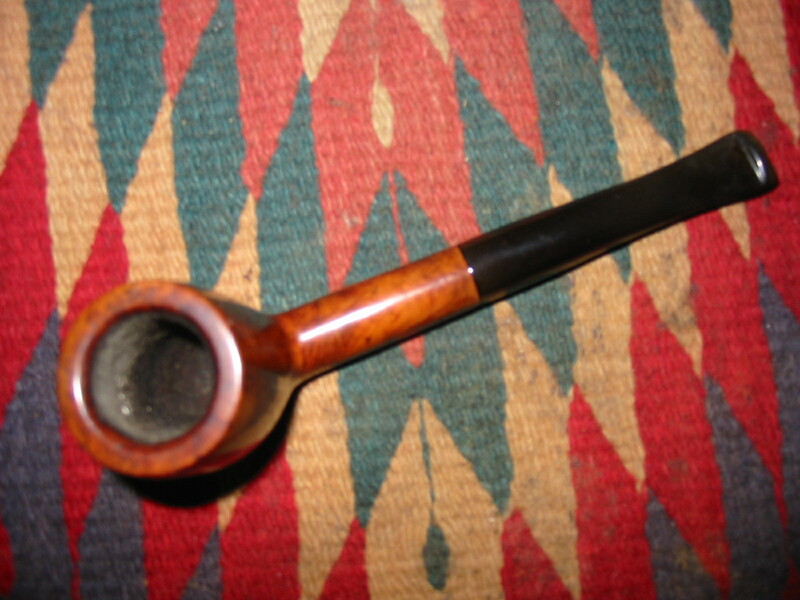 I am happy with the overall look of the repaired pipe. 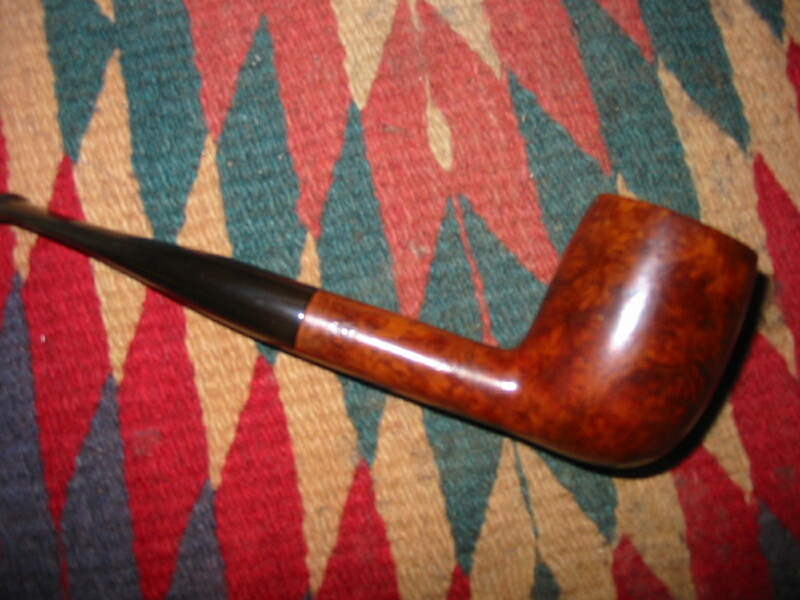 If it turns out that the cracked area over heats then it may well be a candidate for a briar plug. The verdict is still out for now, but time will tell. This entry was posted in Pipe Refurbishing Essays and tagged Bowl - finishing, Bowl - refinishing, Comoy's J186 Pipe, contrast staining, finishing, fitting a stem, micromesh sanding pads, pipe refurbishing, refinishing, refurbishing, repairing cracks in exterior of the bowl, replacing fills with briar dust and super glue, restaining, restaining a bowl and rim, sanding a stem, shaping a stem, stem work, super glue on February 1, 2014 by rebornpipes. 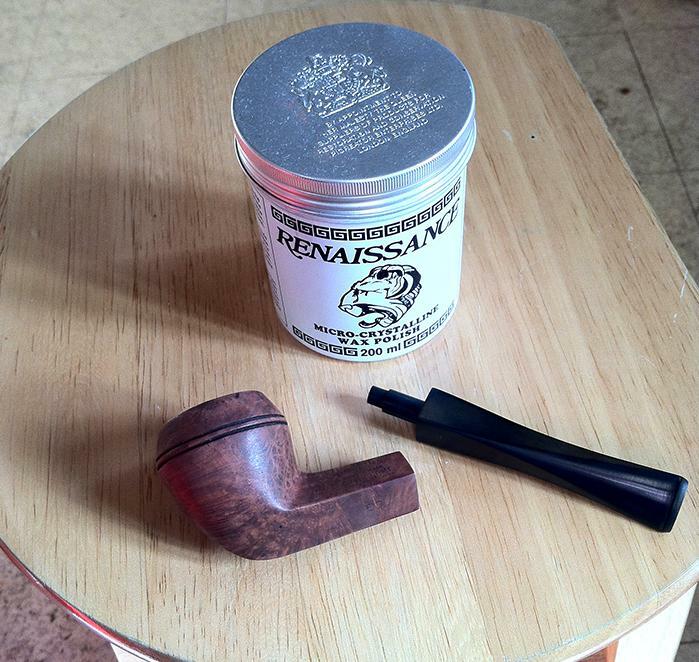 Chiz has followed rebornpipes for quite a while now and shown his refurbishing work on Pipesmokers Unlimited. When I saw his step by step work of reclaiming this old bulldog I wrote and asked if he would mind writing up the process for us on the blog. He was happy to do so. His words and photos follow. I hope this is the first of many refurbs he writes about and posts here on the blog. Thanks Chiz. I am delighted at the opportunity to share my experience here. 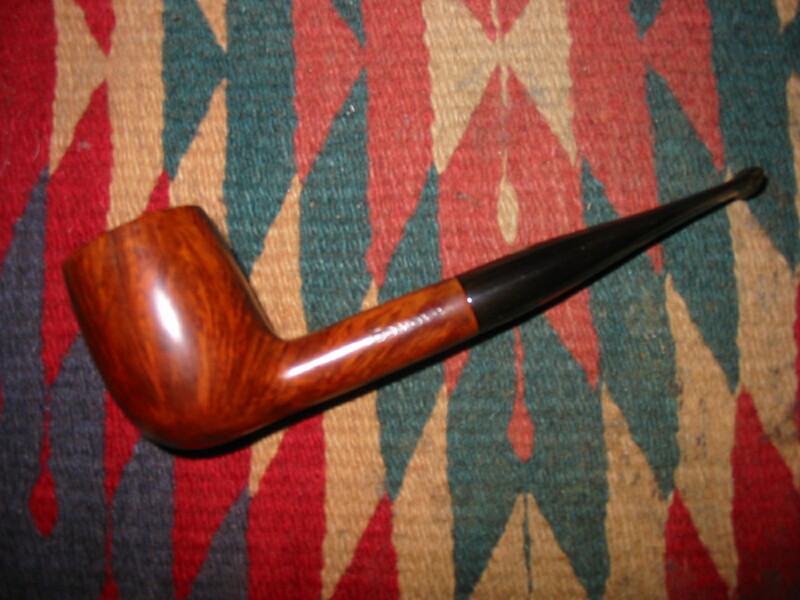 Steve and this blog have been far and away my biggest influences and sources of help when it has come to learning how to restore a pipe, so I feel honoured to be asked for a contribution. Superficially it doesn’t look too bad, but the rim is badly charred and uneven and I fear I am going to have to risk compromising the shape in order to make the bowl look presentable. 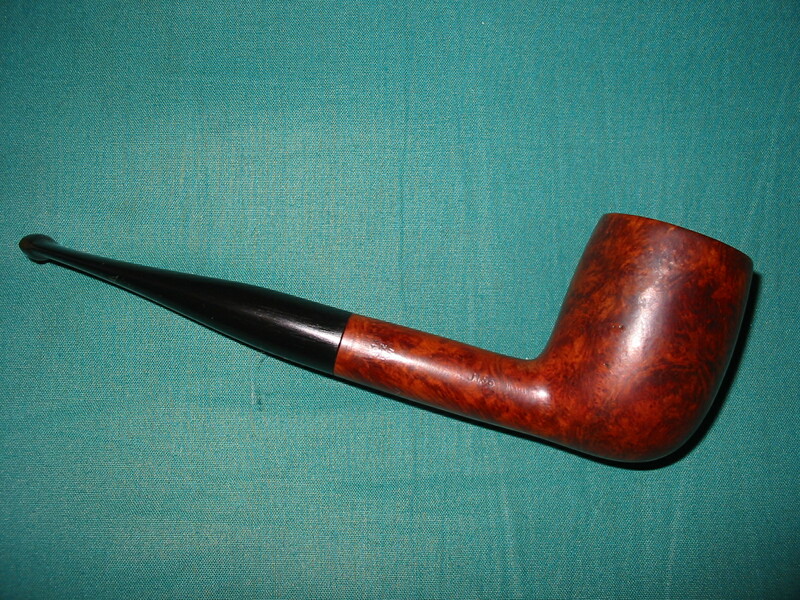 The stem/shank fit and alignment has somehow become slightly out of kilter, perhaps it is not the original stem, so that too will need attention. But more pressing problems first, feast your eyes on this cake. Cleaning the chamber out proved to be quite a job. 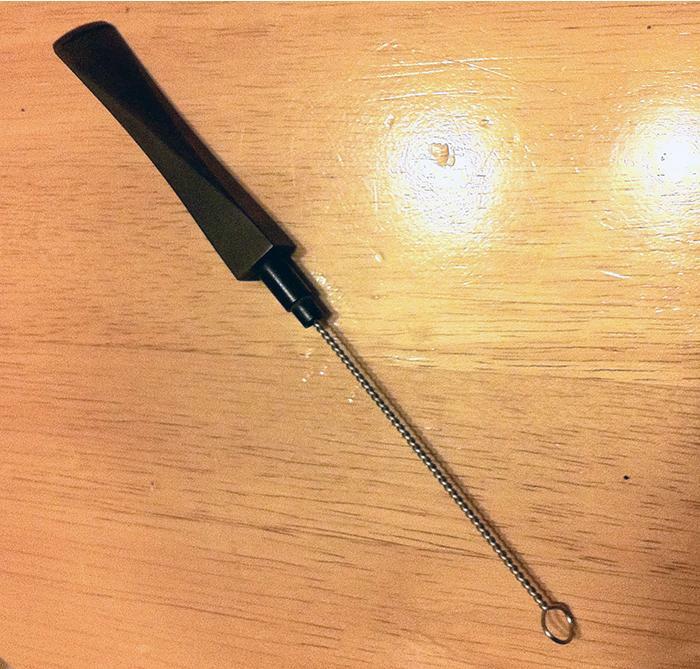 I had to pick away at it with the nail from a 3 in 1 before I could even get the spoon in there, let alone a reamer. And the smell, ugghh. 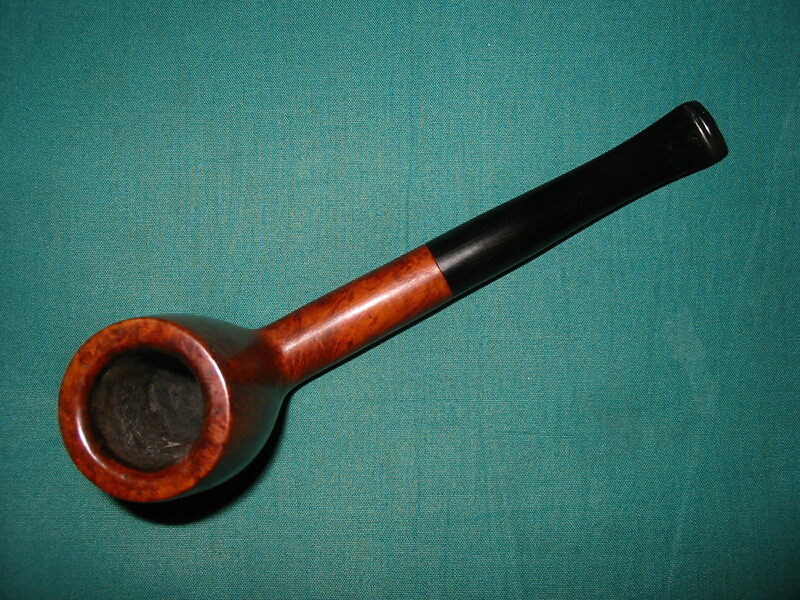 But at least it looks more like a pipe bowl again now. And happily there was no hidden damage within. 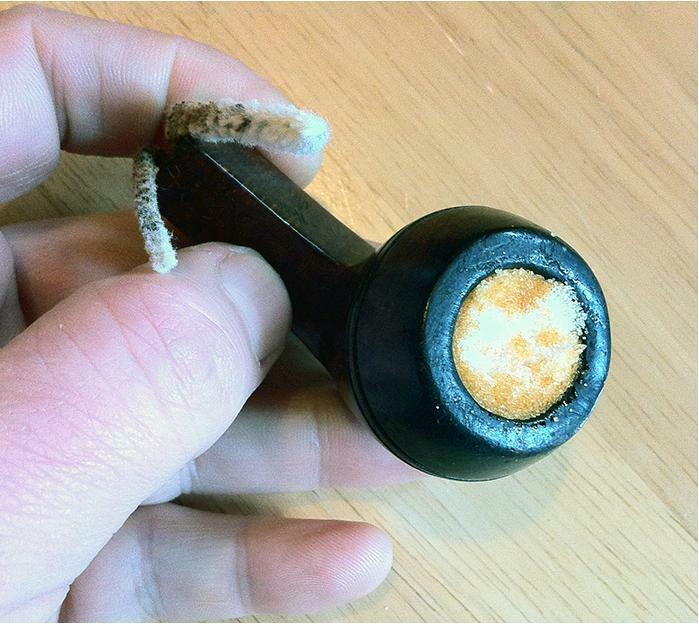 Once the chamber was clear I packed the bowl with salt and saturated it with isopropyl alcohol (99.5%). 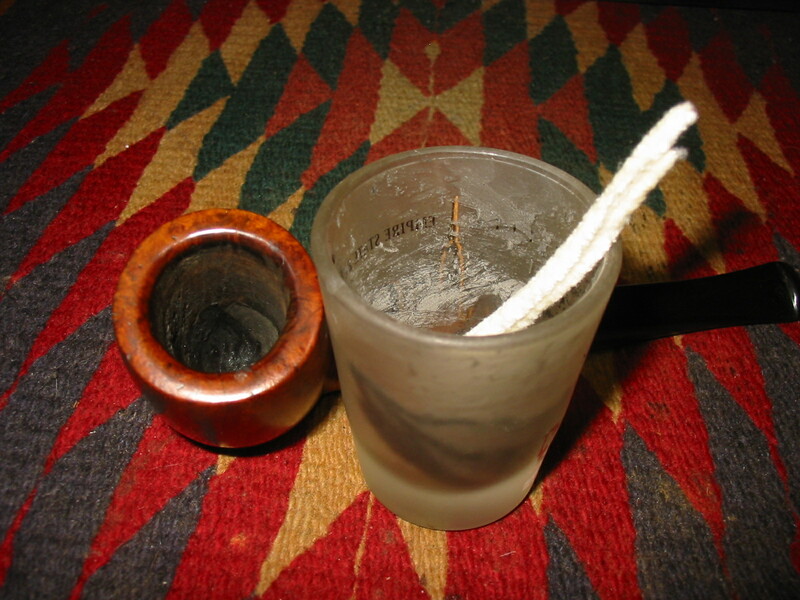 Additionally, I folded a pipe cleaner in half and twisted that into the shank so that it would soften the gunk in there and wick some of it out. I topped up the alcohol regularly and then left it to do its thing overnight. 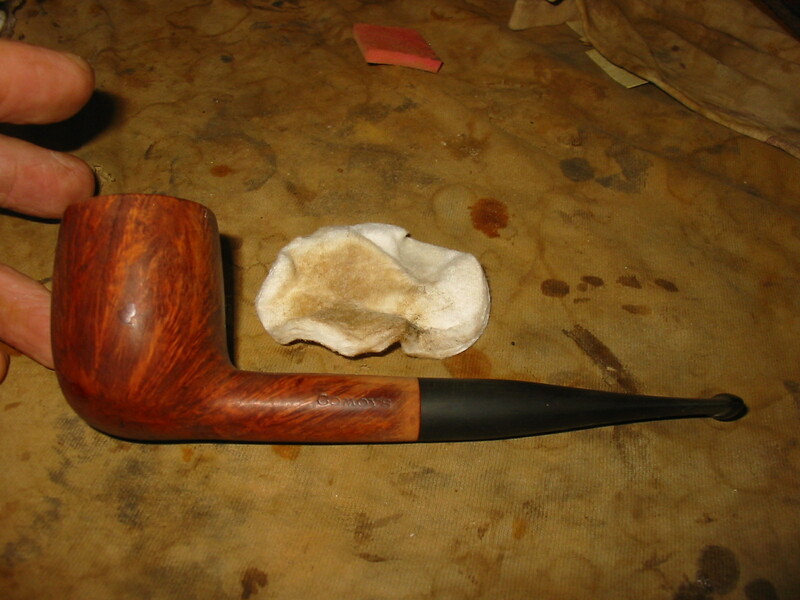 Meanwhile, I gave the stem a soak in a bath of oxy solution to help bring out the discolouring. I also find that this helps soften whatever gunk lurks within and I don’t even attempt to do any cleaning on the airway before then. What I have finally managed to get hold of, after failing to find anything suitable locally, are some long, bristled brushes narrow enough to fit inside the stem. What a boon! Whereas in the past I have struggled with countless regular pipe cleaners, this little beauty made short shrift of cleaning out the innards. It took just a couple of pipe cleaners soaked in isopropyl after that and they were coming out clean. Thank you to our friends in China! After chiseling out the crusted salt and a quick rinse under warm running water, I set to with my new super brush in the shank. This soon cleaned the conspicuous debris, but the muck of past smoking clearly ran much deeper. It took many, many pipe cleaners dipped in isopropyl before they started to emerge anything other than black, the previous owner had clearly been a recidivist of the worst order. 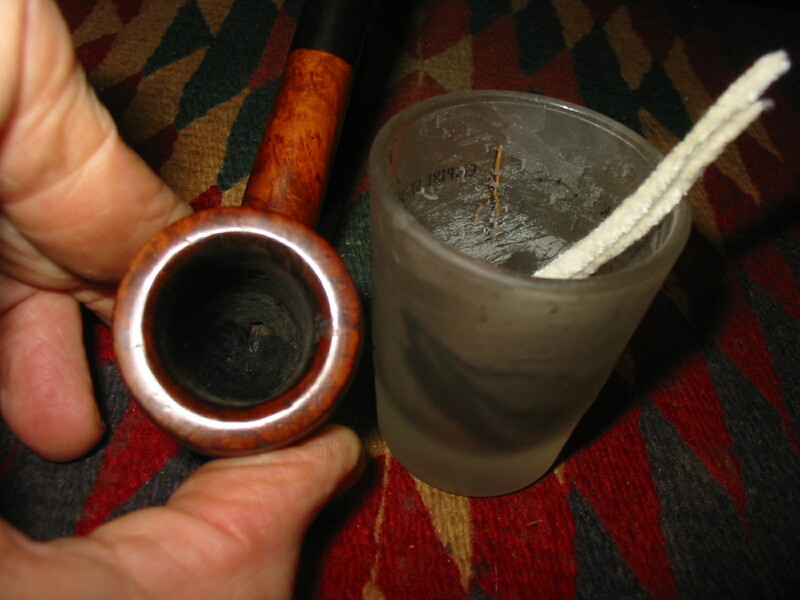 Even when the pipe cleaners began to emerge light, the niff from within the bowl was still rank. So I have resorted to a further treatment only used in extremis: stuff some cotton wool wadding into the bowl and soak it in lemon juice. 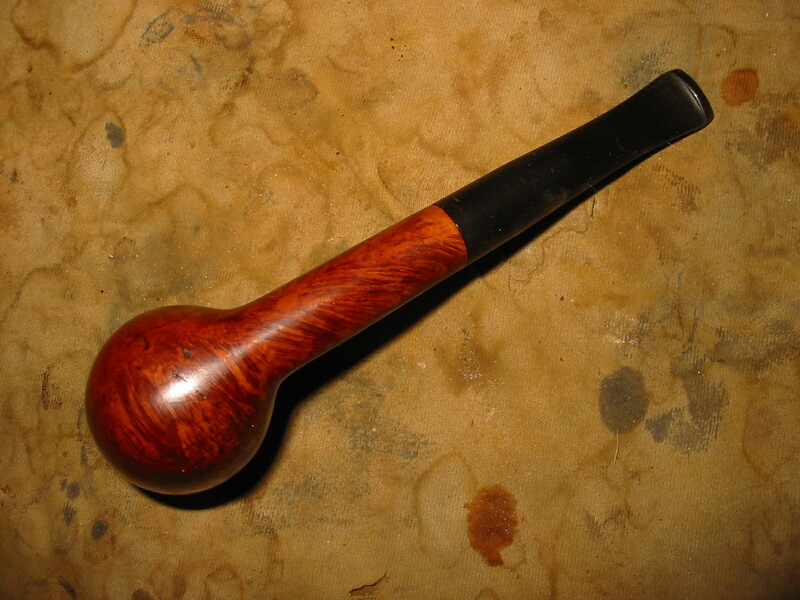 I have the germ of an idea forming for what to do with this pipe when I have finished with it and that does not include someone sucking on it and going green around the gills. 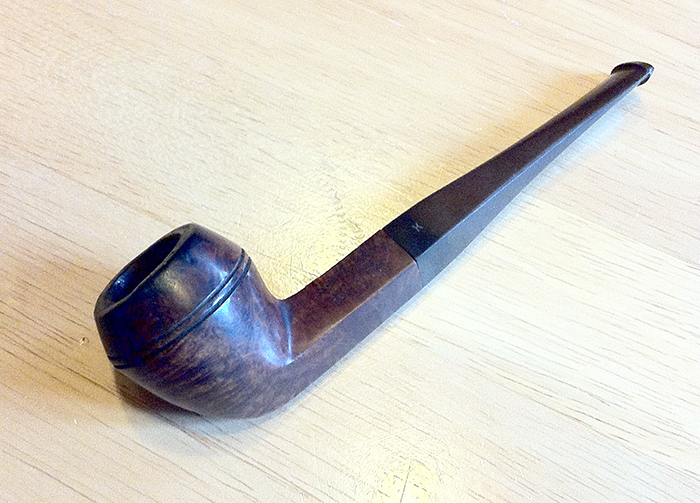 After all that effort the pipe is now sweeter than it must have been for quite some time. The next challenge was the misshapen rim, how on earth it got into this state I honestly cannot imagine. First I roughly flattened the top with a Dremel with sander attachment. 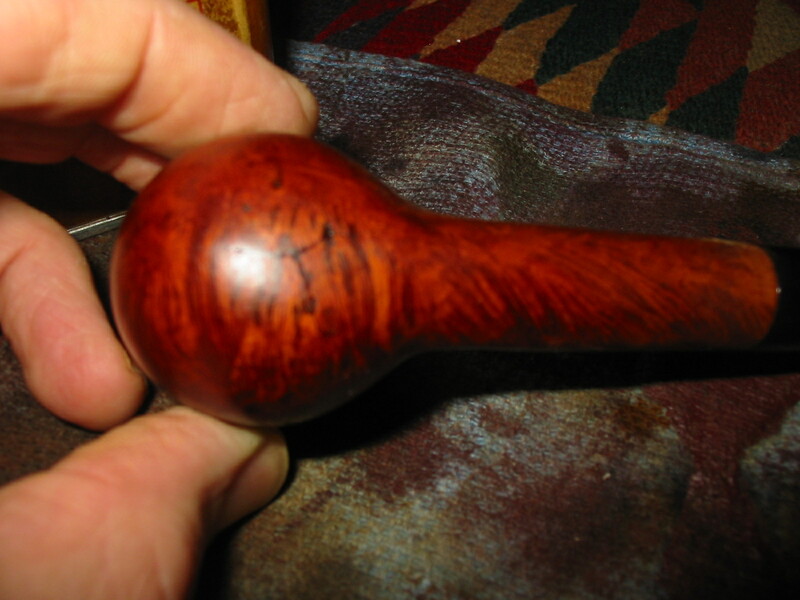 I don’t have a workshop with bench grinders and buffers, different kinds of polishing compound etc.just a very basic Dremel – which is of limited use; you really don’t want to go near a pipe with one unless you absolutely have to! – and the rest is all done by hand. So for anybody reading this wondering whether they should have a go at a similar job: if I can do it then anyone can, truly. After the brief bit of machine work, I set to with the time-honoured and laborious technique of sanding the rim by hand, inverted on a perfectly flat horizontal surface with mostly circular/twisting motions. 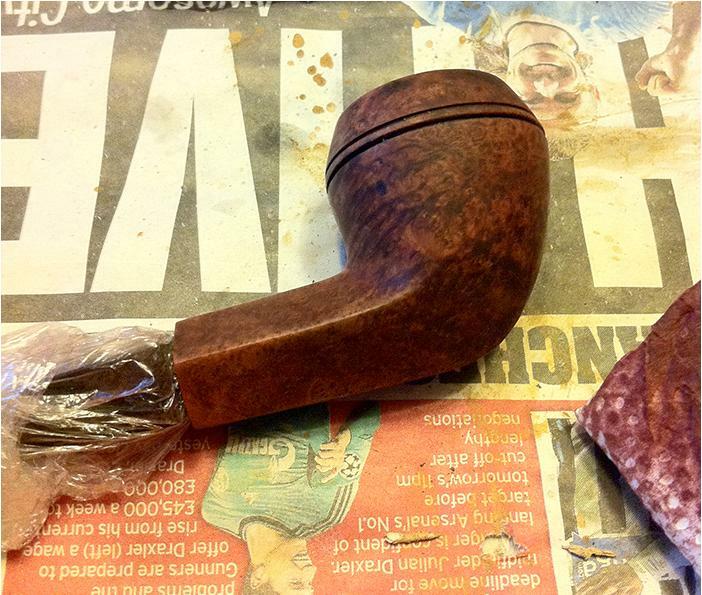 I also took the opportunity to give the stummel an overall rub with 800 grade sandpaper and then a quick scrub with a tiny dab of oil soap under running water. The stem cleaning was a matter of routine i.e. oxy solution to lift the grime and loosen the dirt inside and internal cleaning as mentioned earlier. Finally an application of good old elbow grease with MicroMesh 4 way flexi files, going through the colours in sequence: BLACK 180MX; PINK 2400; WHITE 4000; GREY: 12000, used wet. 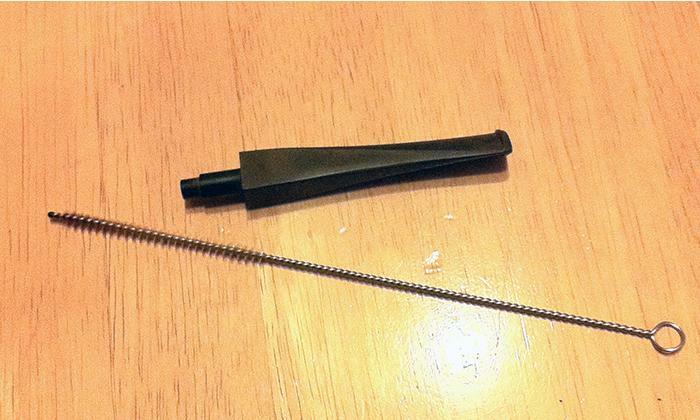 After all this I was still scratching my head about the stem/shank fit, though. There is a just-about-discernible “H” on the stem, so I know it is aligned the right way. Yet it just didn’t seem quite right. It’s a bit loose to boot, so I will have to deal with that as well. I was grateful at this stage, whilst documenting this in “real” time on the forum, to get some reassurance from others regarding tricky diamond shaped stems. Never underestimate the benefit of soothing words from your peers when things look problematic! 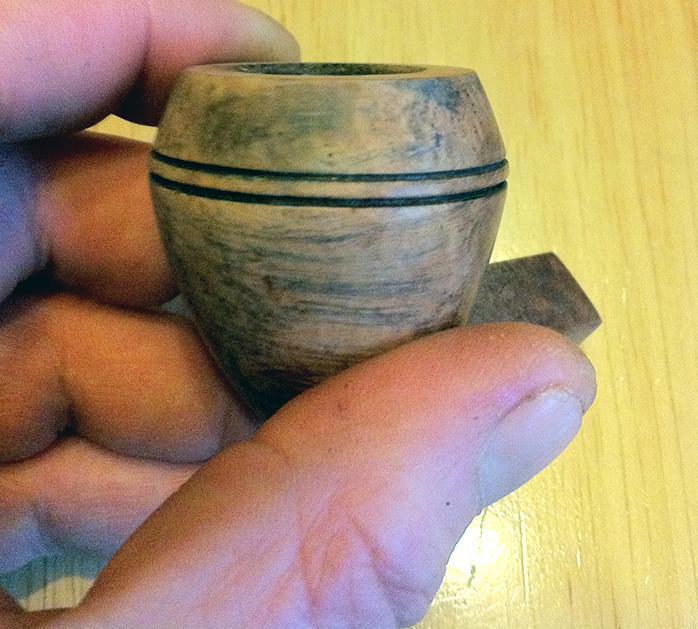 Moving on, here are the first stages of colouring the stummel back up. 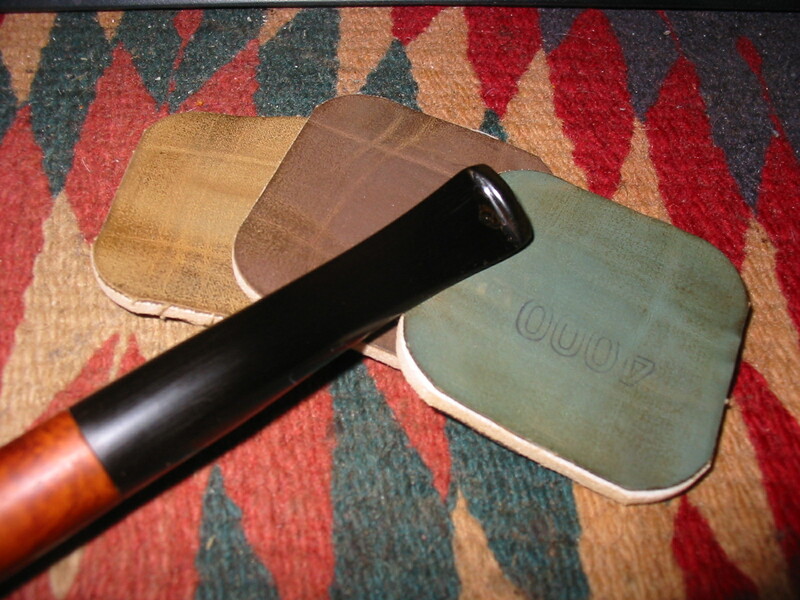 I use Rustin’s Wood Dyes, which are naphtha based. Whilst you have to exercise some care, the evaporation is almost instant and the drying time is quite short, so two to three coats can be applied in relatively quick succession. I do like it to rest for at least 24 hours until finishing, so that’s it for now. Oh, nearly forgot, one more tip: I wrap the stem in clingfilm (plastic wrap in the States?) 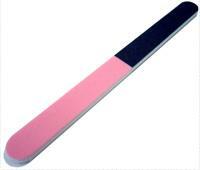 and use that as a handle whilst applying the dye. I wasn’t able to resolve the stem/shank problem to my complete satisfaction, I could have tried sanding away, but there is always a risk that one ends up removing too much material with no visible improvement. So I settled for heating the tenon in boiling water, inserting the nail from the 3 in 1 and very gently applying outward rotary pressure. I also applied some beeswax to the tenon, these steps together have at least ensured a more snug fit. 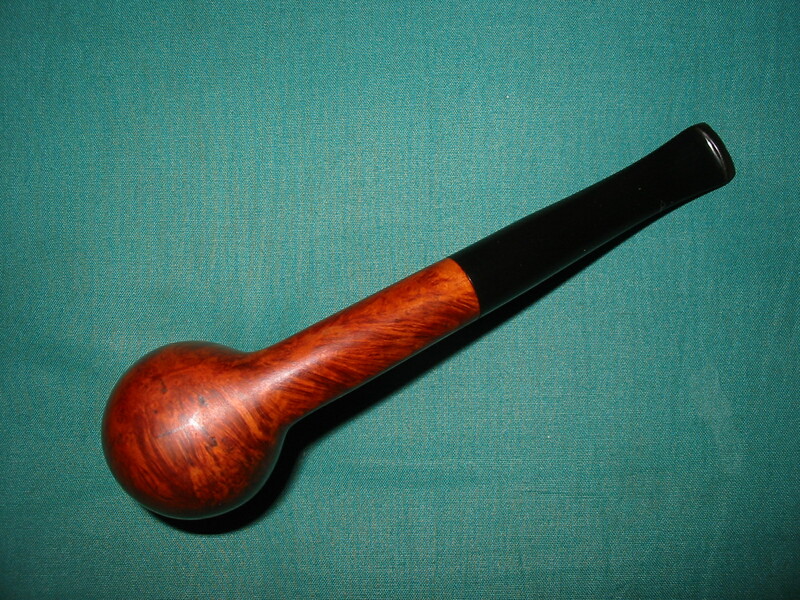 To finish off there is just the matter of giving the pipe a good polish to show off your handiwork at its best. As mentioned earlier, I am not fortunate enough to have an array of spinning buffer wheels and various compounds, so as throughout most of the process I rely on a manual approach: Renaissance Wax, applied by dabbing on and rubbing with finger tip and then buffed off with a lint-free cloth. This will not, of course, produce the glassy shine so beloved of certain eBay sellers. 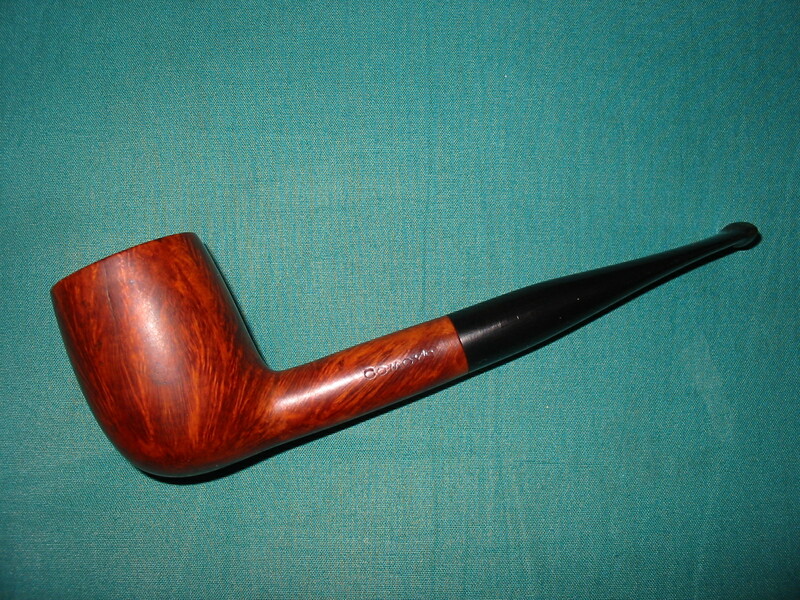 But bear in mind that such a shine starts to disappear the moment you touch the pipe and I kind of like my less exaggerated finish. That’s my argument anyway and I’m sticking to it! You can see that the rim is out of round at the front edge, this is where the damaged, lowered area was. I was loathe to attempt shaving any more off, but after some input from Steve, I gave the inner edge of the rim a gentle rub with 800 grit paper, it does make it look better. The shank/stem issue which I have banged on about so much remains clearly visible. At the end of the day, perfection was not in my view possible with this job, certainly with the limited tools at my disposal. This entry was posted in Pipe Refurbishing Essays and tagged Blog posts by Chiz Szymanski, Bowl - finishing, Bowl - refinishing, bowl topping, Bowls - refinishing, finishing, Hardcastle 69 Bulldog, micromesh sanding pads, Oxidation, pipe refurbishing, refinishing, refurbishing, removing oxidation, restaining a bowl and rim, stem work, topping a bowl on February 1, 2014 by rebornpipes.